A quiet morning on this Wednesday, but here’s a quick rundown of this morning’s top stories. 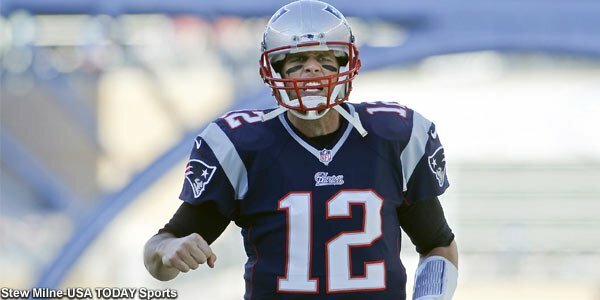 Brady Gets Some Help – Patriots quarterback Tom Brady got a little help last week from a group of independent scientists as well as Robert Kraft, with both filing “friend of the court” briefs in an effort to bolster Brady’s shot at getting a rehearing in front of the U.S. Second Court of Appeals. 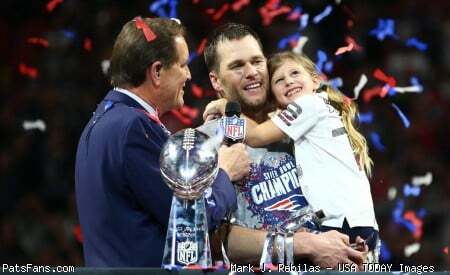 However, Tuesday a report came out that saw a key player step forward and file a brief that could hopefully tip the scale and get Brady’s case back in front of the judges. According to reports, the AFL-CIO joined the case, with the Federation of Labor Organizations filing a brief that certainly hits home with what’s transpired over the last year-plus. The brief leads off with a key point as it pertains to collective bargaining agreements with discipline, and feels Roger Goodell didn’t fairly handle the arbitration process. From there, the brief gets right to the point and immediately points out what most of us already know, which was this whole procedure was never fair and Brady never had a shot at a proper arbitration hearing, which – like most of us obviously feel about the entire investigation – was never neutral. “Because the Commissioner – who issued the discipline to Brady in the first instance – failed to follow basic procedural fairness and acted arbitrarily as an employer seeking to justify his own disciplinary decision rather than as a neutral arbitrator considering an appeal – his decision should be vacated,” the brief stated. Obviously when a key labor organization can see the obvious, that should hopefully be enough to give Brady another shot at beating this thing. It backs attorney Ted Olson’s argument about the fact this ruling goes well beyond football, and now places even more importance on the outcome of the case given the precedent it will obviously set. This whole thing hasn’t been fair since it started, and seeing anyone lose in a situation where they never had a fair chance is always frustrating. A decision on whether or not the Second Circuit will rehear the case will reportedly be made the end of June. Most experts, including SI.com and UNH Professor Michael McCann, thought it would be a long-shot that Brady would get that chance. After Tuesday, things are certainly a little more encouraging. 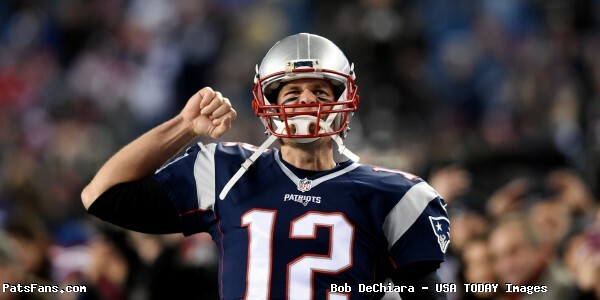 Another player threw their hat into the ring in support of Brady this week. 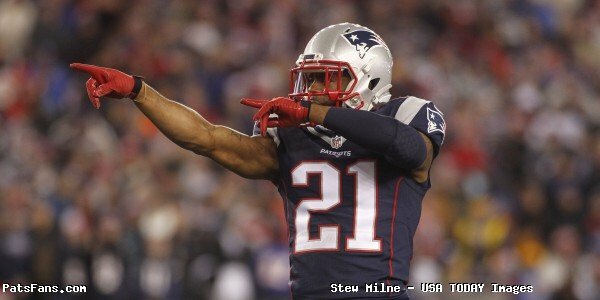 Butler To Show Up at Patriots OTAs – Jeff Howe of the Boston Herald reported on Tuesday that Patriots defensive back Malcolm Butler will be at OTAs this week, despite Mike Reiss’ report about the fact he’s unhappy about his contract. According to Howe, Butler’s absence last week had nothing to do with his current contract situation. Having Butler back at work is obviously a big key as now is the time to start building some continuity among some of the new players who will be in the locker room this season. 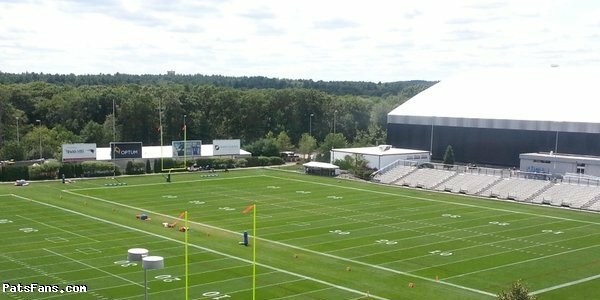 After the Patriots finish these final practices, they’ll break one last time before training camp starts next month. With Butler back in the fold, that will certainly help shift the focus back to where it should be, with Butler seeing if he can’t help get his team back to playing at a championship level one more time. Jets See Decker and Marshall Return – If you’ve been following the disaster going on down in New York, their situation finally settled down a bit this week. After skipping workouts in support of quarterback Ryan Fitzpatrick, Eric Decker and Brandon Marshall were back at voluntary practice despite the fact no deal has been reached to keep their QB in the fold. According to reports, the offer on the table for Fitzpatrick is 3-years, $24 million which includes $15 in guaranteed money. Part of that guarantee includes $12 million in the first year, but from there it starts to come to light as to why Fitzpatrick remains at odds. According to ESPN’s Rich Cimini, Fitzpatrick’s compensation over the final two seasons drops to $6 million per season. Fitzpatrick isn’t a dumb guy, having come from Harvard and he likely knows how important his role is to keeping the Jets on the upward trajectory they finished on last season. They have a good nucleus in place and bringing Fitzpatrick back once again makes them a dangerous team heading into 2016 that could surprise people. But that won’t happen unless they lock up Fitzpatrick, and give him credit for playing hardball. Their current stance reportedly has the veteran frustrated, to the point they’re even worried about him taking less money out of spite. The New York Post suggests making the deal a one-year contract at $12 million and letting Fitzpatrick gamble and see if he can cash in during free agency in 2017. At 33-years old, he’s still got some good years left. But at this point it’s been a contentious offseason and not having him around certainly isn’t helping their preparation. That’s certainly fine for everyone following this story here in New England. It’s always fun watching the Jet squirm, and it looks like this current mess is definitely far from over. 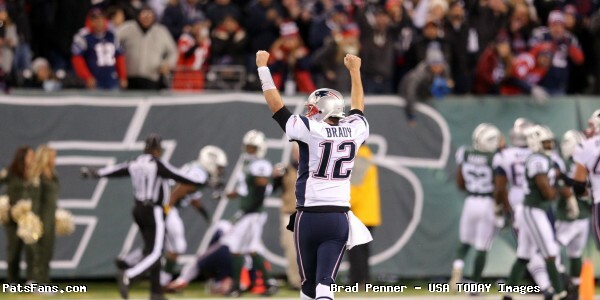 This entry was posted in Patriots Commentary, Patriots News and tagged 2016 Patriots Roster, Bill Belichick, Boston Herald, Brandon Marshall, Eric Decker, Jeff Howe, Malcolm Butler, New England Patriots, New York Jets, Patriots news, Ryan Fitzpatrick, Tom Brady on June 1, 2016 by Ian Logue. 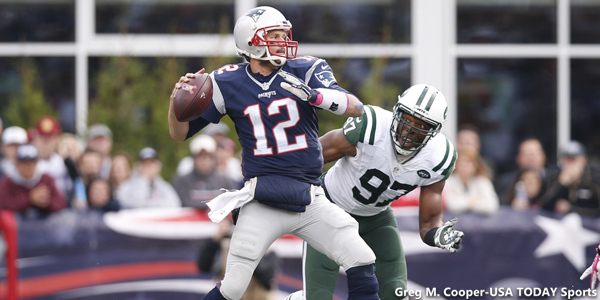 Good morning, here are Sunday’s Patriots news 5-29 notes and what’s happening around the AFC East. Memorial Day Denotes Sacrifice: We wish all of our readers a happy and safe Memorial Day weekend. But at the same time take an opportunity to remember the countless Americans who’ve paid the price to keep our way of life intact. Freedom isn’t free and it isn’t a right that everyone in the world is blessed with. Our freedoms to choose our own path were paid for by Patriots who paid the ultimate price. The New England Patriots are fortunate to have both a coach in Bill Belichick who spent his early life at the Naval Academy and a player in Joe Cardona who know and respect the commitment that goes with protecting those freedoms. 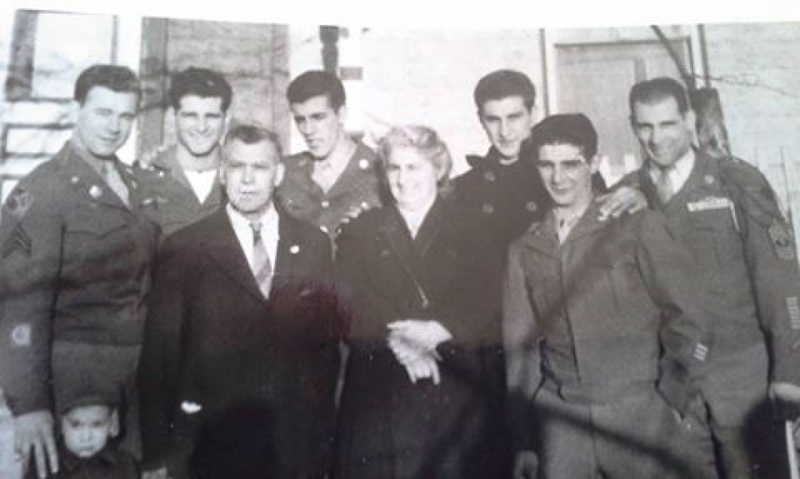 Growing up in a military family that saw my father and his five brothers serve in combat in WWII, the appreciation was inbred at an early age. Growing up two of my favorite NFL players were Roger Staubach who after winning a Heisman, went to Vietnam and Pittsburgh Steelers’ running back Rocky Bleier who was wounded in the same conflict and was thought to have no chance of resuming an NFL career as a result. And of course, Pat Tillman who gave up a million-dollar NFL career and died in Afghanistan. And today there are many Americans serving far from home in harms’ way that are still serving and protecting our freedom. To them we thank you. 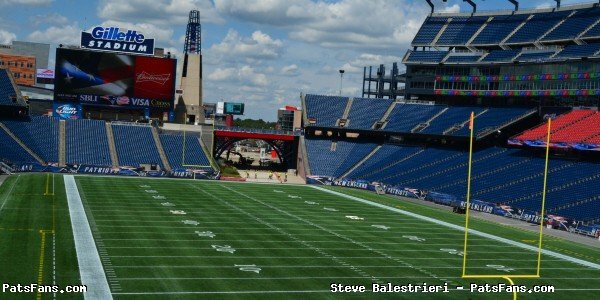 With the Pats back on the field doing football-type stuff initially in 2016, it was an opportunity to see many of the players in a Patriots uniform for the first time. And as frequently happens in the early going, a fair amount of overreaction occurs in regards to who is or isn’t present and who is making the big plays of the day. Many fans were upset at the high number of veterans who weren’t present at the only media portion of the week’s practices. But many could be explained away as being vets, perhaps they were given the final practice of the week off. It’s important to remember the beat writers can only report on what they are seeing in front of them. But also remember this, it is still only May, and the players are in pads yet. There are still a lot of practices to go before they even get to the pads of training camp and then plenty of work between July 27 and the first regular season game in Arizona. With that in mind….let’s take a look at who was starting quickly this spring. New tight end Martellus Bennett, signed this spring away from the Bears was, to no surprise a frequent target for Tom Brady in the Thursday’s practice. With Rob Gronkowski, Julian Edelman and Danny Amendola not present, it was Bennett who was getting frequent attention in the passing game with Brady. As we pointed out early in the week about OTAs, the big thing to take away from the early work was building the rapport and “trust factor” with Brady. And right away, as soon as the team broke down into a special teams’ exercise, Brady and Bennett moved off to the side and began working on situational football. 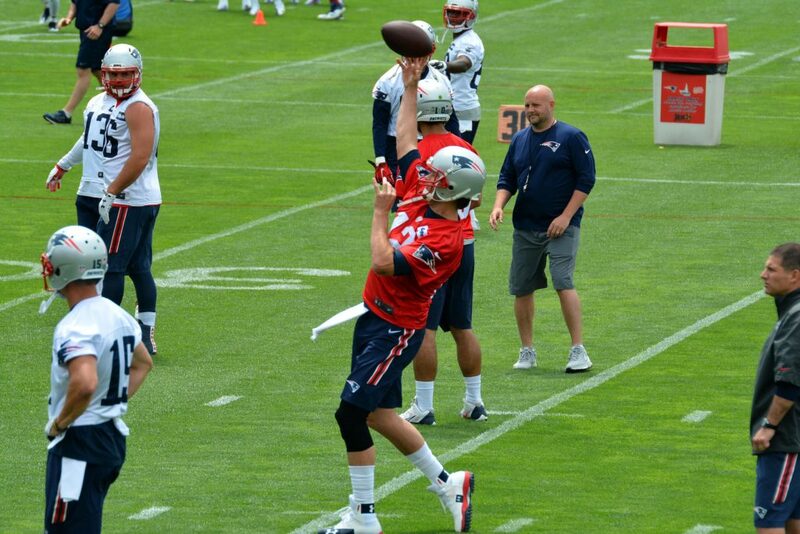 Later they were reportedly joined by TE Clay Harbor and FB/TE/HB James Develin. That’s the big takeaway from the early work here. Bennett and Gronkowski who is already wired in tight with Brady will be his first reads in the red zone and the possibilities with the two are intriguing, to say the least. One of the more intriguing positional battles this year will be at center. Bryan Stork played well for the Patriots during the Super Bowl run but began 2015 on the IR-designated to return list. David Andrews, a UDFA center from Georgia, started the first nine games until Stork returned. Now the two are seemingly locked in a tough positional battle heading into mini-camps and training camp. Stork is a versatile player that can play guard and even slid out to tackle during a pinch last season, while Andrews is strictly just a center. It should be an intriguing battle to watch. After an impressive start to training camp last year where he earned the start in the team’s first preseason game, CB Darryl Roberts suffered a wrist injury that landed him on IR and he missed all of the 2015 regular season. Now with all eyes on this year’s top draft choice Cyrus Jones, the 2nd year corner from Marshall is out to make people stand up and take notice again. 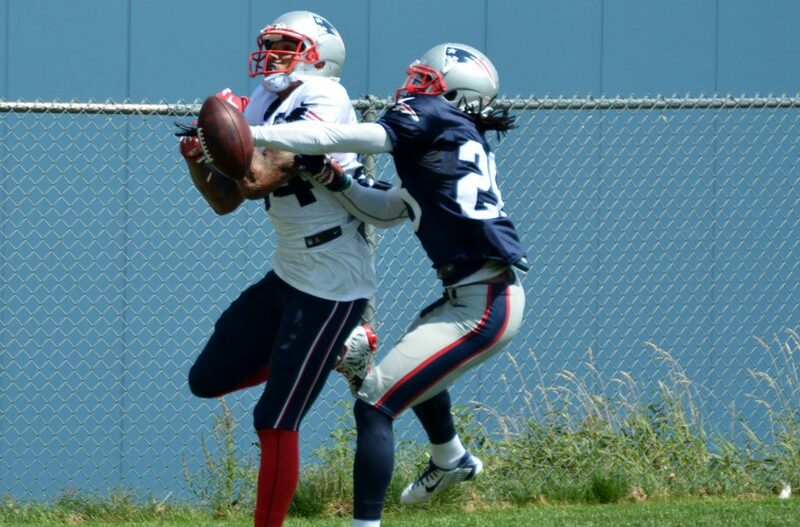 With both Malcolm Butler and Logan Ryan not present on Thursday, Roberts made the most of his opportunities, just like last year where he led the team with 10 passes defended in camp. Just don’t call these chances “first team reps”. “I’m just trying to come out here and grind and try to compete and get better each day,” Roberts added. If last summer’s performance was any indication, he should be ready to compete for not only a roster spot but some playing time. After at times frustrating rookie season, Miami WR DeVante Parker seems poised to be the playmaker he was envisioned when the Fins drafted him in the first round of the draft. Miami’s prior regime seemed reluctant to cut the rookie loose and it wasn’t until after Rishard Matthews got injured that Parker was able to make an impression. He finished with 26 catches for 494 yards and three touchdowns with 22 of his grabs coming in the final six weeks of the season. Now he’s ready for a bigger role and new coach Adam Gase and his QB thinks he’s going to produce. “I expect big things out of him,” Ryan Tannehill said. “I expect him to be a heck of a football player — a guy that other teams fear because he can make big plays down the field and inside. In other news, Miami LB Koa Misi was involved in a bar fight where another man got knocked to the ground and needed medical attention. In a story from Ft. Lauderdale’s Local News 10, Misi apparently had words with a patron then rushed back to the entrance of the bar and assaulted a man, knocking him to the ground. A police officer detailed to the establishment had his statement posted to the story and tried three times to bring Misi to the ground but he each time Misi was assisted by 10-15 members of his entourage (Cris Carter must surely approve). Eventually, Misi was released as the victim declined to press charges. Not a good look for the player or the team there. While QB Ryan Fitzpatrick and the Jets haven’t yet come to terms with a contract for the 2016 season and beyond, it is now being reported that the two sides weren’t as far apart as previously reported. ESPN’s Rich Cimini has reported that the Jets offer, originally thought to be around $8-million was in fact in the neighborhood of $12-million in Year 1 however, the exact amounts and the guaranteed amount of money haven’t been specified. So now the game has resorted to a he said-she said. Fitzpatrick certainly has the backing of many of his teammates. Both Eric Decker and Brandon Marshall have stayed away from OTAs, Decker was openly stating that he was doing so to support the QB while Marshall’s reasoning, although technically not known was reported to be a show of support as well. There are two Ryans in Buffalo this season, so the rhetoric is bound to be ratcheted up even more in 2016. So not surprisingly, the first shot fired across the bow was not done by Rex, but by his brother Rob whom he hired to run the defense for the Bills. “All the respect in the world for Bill Belichick. 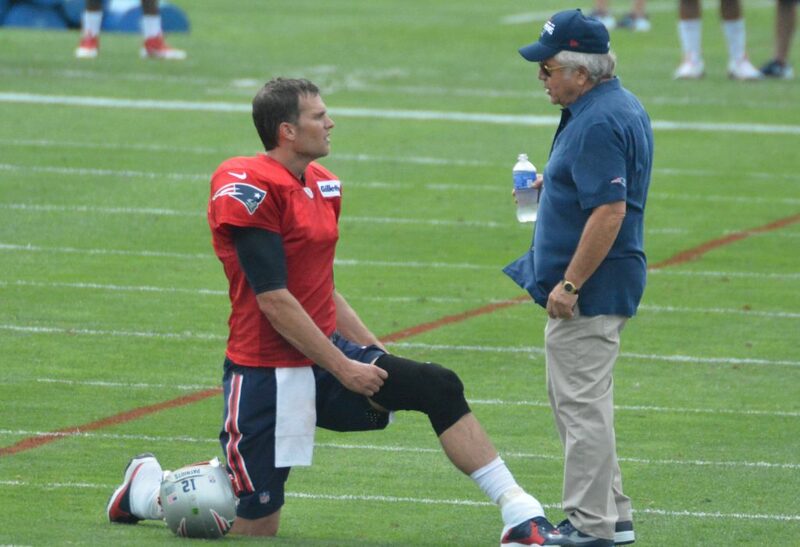 That was fantastic training, working for him for four years, and I learned a ton,” Rob Ryan said. “Look, he is the No. 1 nemesis of every coach in this league. So it’s not just Rex. 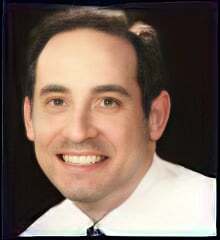 Rob was an assistant coach with the Patriots from 2000-2004. Although Ryan-coached teams always play the Patriots as tough as any team, he’s still only 4-11 head-to-head against Bill Belichick. And the Bills are just 4-28 against Bill Belichick since he took over the reins in 2000. So while the results have been decidedly one-sided, the hype just increased quite a bit this season. 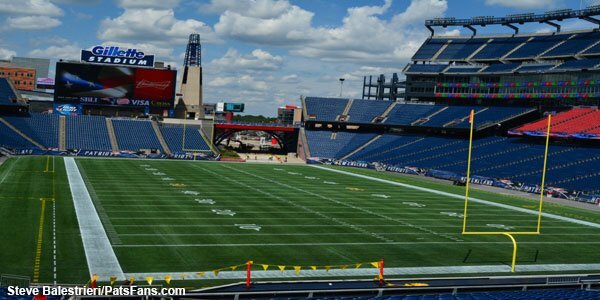 The first meeting between the two teams is slated for Week 4 at Gillette Stadium on October 2. 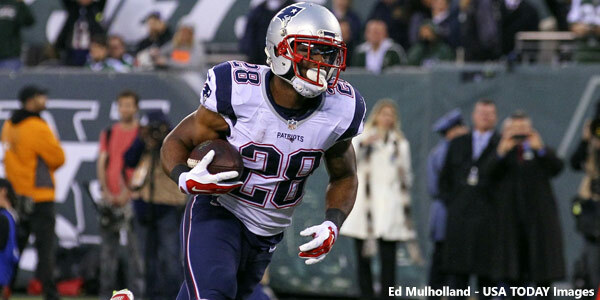 This entry was posted in Patriots Commentary, Patriots News and tagged 2016 NFL Draft, 2016 Patriots Draft, 2016 Patriots Roster, 53 Man Roster Projection, Bill Belichick, Brandon Marshall, Buffalo Bills, Clay Harbor, Cyrus Jones, Danny Amendola, Darryl Roberts, Devante Parker, Eric Decker, James Develin, Julian Edelman, Koa Misi, Malcolm Butler, Martellus Bennett, Miami Dolphins, New England Patriots, New York Jets, NFL, Patriots, Pittsburgh Steelers, Rex Ryan, Rob Gronkowski, Rob Ryan, Ryan Fitzpatrick, Tom Brady on May 29, 2016 by Steve Balestrieri.